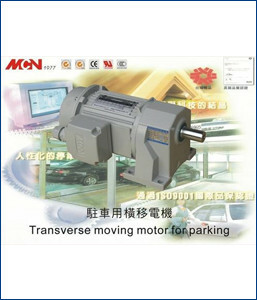 We are among the prominent firms involved in the provision of highly qualitative Transverse Moving Motor for Parking. These motors are manufactured in accordance to industrial guidelines of quality by using the best raw materials and components. Under the guidance of adroit professionals, these electric motors are manufactured using quality tested components and modern technology. These are demanding in the market due to its features and leading price.